Premier MTG investment. 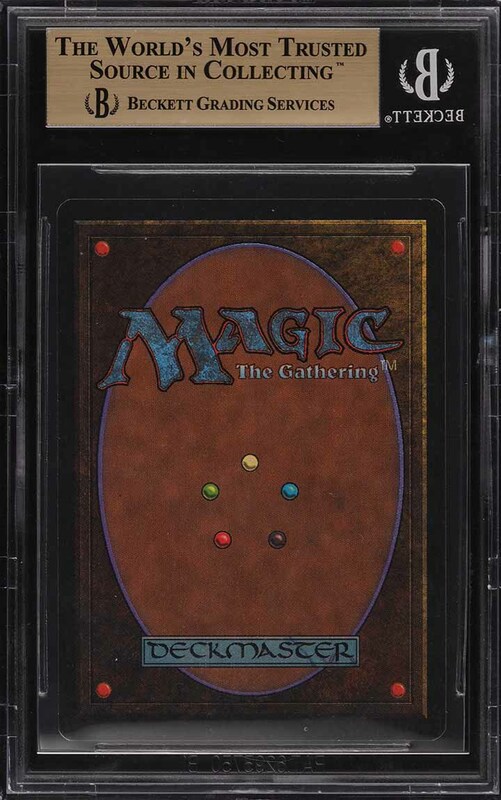 Offered here is the single most important and sought after P9 card in all of Magic. 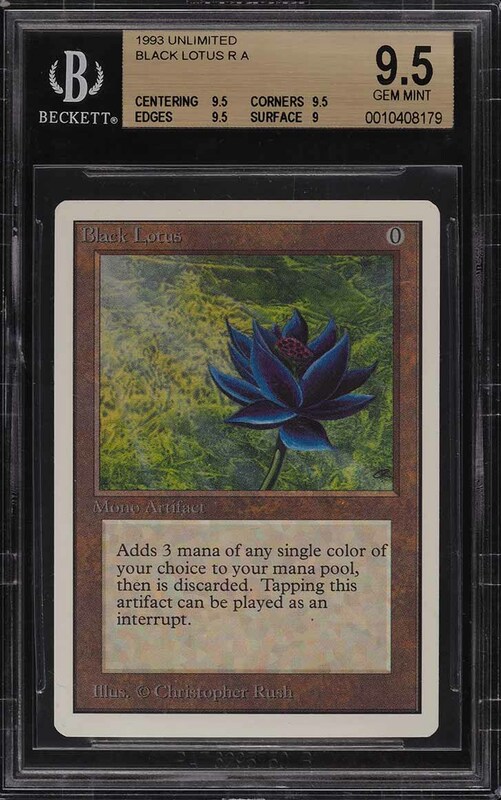 The Black Lotus is widely considered the most valuable card to own in any deck due to its immense power and game changing abilities. With its immense power, it's really no wonder why this card has been placed on the banned/restricted list and sits atop the highly coveted power 9. Unlike the early issues of magic, the Unlimited production is particularly special as it was printed with stark white borders; making this set truly unique in the magic world. 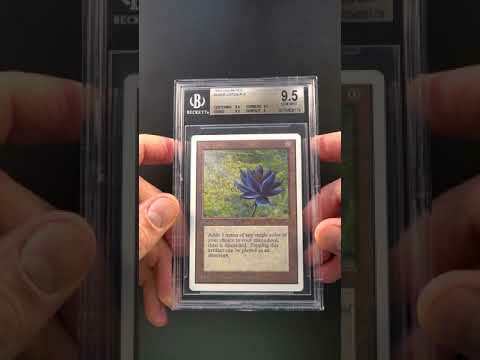 One of just thirty-six GEM MINT copies, the Unlimited Black Lotus in BGS 9.5 is the rarest 9.5 Black Lotus of all core sets; including the Alpha and Beta issues. A true piece of artwork, the Black Lotus was designed by Christopher Rush and represents a fine art investment equivalent. This natural beauty exhibits pack fresh eye appeal along with terrific centering and clean borders around. The corners are completely untouched, the edges are ultra crisp and the registration is precise. Shows high-gloss with lovely surfaces and vivid color. When seeking a world class non-sport investment card, the MTG Unlimited Black Lotus in incredible BGS 9.5 condition sits atop the pinnacle. Far too rare to ever satisfy the demand, this card is an MTG rarity which represents a quality investment commodity. Comes highly recommended by PWCC. Part of a magnificent run of high-grade Magic The Gathering examples on the auction block this month. One of nearly 15,000 cards, lots, and sets up for bid in our 4th Auction of 2019. Click on the link above to view the other PWCC auction lots. The PWCC Vault is now live! Open a PWCC Vault account and receive a custom Vault shipping address. Purchases shipped to the Vault receive free shipping and reflect Oregon's 0% sales tax rate.